Weak public and external finances relative to 'B' category peers and a heavy dependence on commodities and China weigh on Mongolia's ratings, but these are balanced by the potential of a transformative improvement to the credit profile in the medium term as further projects to harness the country's vast natural resources make progress. Mongolia also scores well on political stability and lack of violence in the World Bank's governance indicators compared with other sovereigns in the 'B' category. Fitch expects the termination of pre-election spending programmes and other one-off spending to help bring the deficit down to 11.5% of GDP in 2017. The agency's forecasts show a slower pace of fiscal consolidation than that envisioned by the authorities, reflecting weaker nominal growth expectations and a history of fiscal slippages. 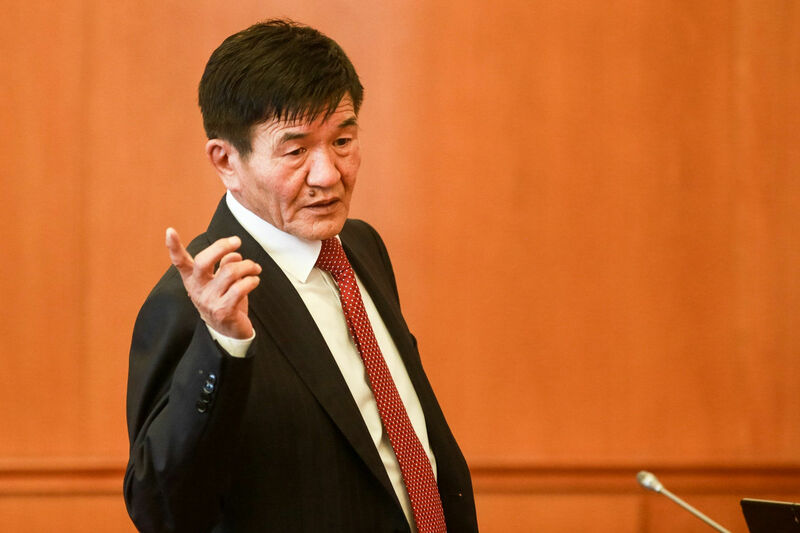 However the 65 out of 76 seat majority won by the Mongolian People's Party in the June 2016 election could create a political environment that is more stable and conducive for effective policy-making than under the previous "super coalition" government. Fitch's expects that near-term refinancing pressures will be alleviated through some combination of multilateral and bilateral support, giving the new government time and space to implement macroeconomic policy reforms and stabilise economic conditions. The authorities have requested financial assistance from the IMF to help manage balance of payment pressures, and plan to finalise a programme by early next year prior to the repayment of the DBM bond. An IMF programme alone is unlikely to be sufficient to cover Mongolia's refinancing needs, but is expected to be accompanied by funding from other multilateral institutions, such as the World Bank, Asian Development Bank and the Japan International Cooperation Agency. The authorities are also in discussion with the PBOC to extend and expand the swap agreement, which is due to expire in August 2017. Medium-term external debt sustainability depends on whether the new government can encourage foreign investment and expedite large-scale mining and infrastructure projects, as laid out in the Economic Stabilization Plan. Foreign direct investment inflows linked to the second phase of the Oyu Tolgoi project will bring approximately USD6bn into the country over six years, although Fitch expects 30%-40% will be used to import capital goods. A possible resumption of the development of Tavan Tolgoi coal mines and the development of associated transport and infrastructure projects could strengthen Mongolia's external accounts considerably. The surge in coal prices since May could add further incentive for stakeholders to strike agreements. Mongolia's public debt dynamics are sensitive to exchange rate movements, with external loans and securities comprising 70% of the government debt stock. Monetary financing of pre-election policy loan programmes and the subsidised Housing Mortgage Program (HMP) sharply increased the money supply, weighing on the tugrik. Central bank lending to the general government has increased by MNT566bn (USD232m) year-to-date as of October 2016. The Bank of Mongolia increased policy rates by 450bp to 15% in August and introduced three-month Central Bank Bills to manage excess tugrik liquidity, and stave off deposit dollarisation. The pre-election policy loan programmes have since been terminated, and the Bank of Mongolia has committed to restrict new lending in the HMP only to what can be funded through repayments of existing loans. However any unplanned new fiscal activities financed through the central bank could contribute to further depreciation of the currency. The use of Central Bank Bills to absorb liquidity, along with foreign-exchange losses on swap transactions, has contributed to a MNT1.2trn capital loss for the Bank of Mongolia between January and September 2016. While there is no requirement to resolve the Bank of Mongolia's negative capital position in the short term, it could ultimately affect the general government balance sheet through foregone dividends or eventual recapitalisation. Fitch expects GDP growth of 0.5% in 2016 and 1.8% in 2017, substantially lower than the 10.4% average growth experienced between 2010 and 2015. Tight fiscal and monetary conditions are likely to weigh on growth over the next two years, though these would be balanced against higher investment and employment tied to the development of the second phase of Oyu Tolgoi. Growth in 2017 has the potential to swing considerably either side of our forecast, depending on the success of the Economic Stabilization Plan and external financing conditions. Low growth, a pick-up in the unemployment rate and the sharp tugrik depreciation have lifted the commercial bank non-performing loan ratio to 9.1% at end-October 2016, from 7.5% in December 2015. Fitch expects asset-quality pressures to continue. Fitch's proprietary SRM assigns Mongolia a score equivalent to a rating of 'B-' on the Long-Term Foreign-Currency IDR scale. - Macro: +1 notch, to reflect Mongolia's high medium-term growth prospects due to development of the second phase of Oyu Tolgoi. - External Finances: -1 notch, to reflect weaknesses in Mongolia's external finances not captured in the SRM, including the very high net external debt burden and large external financing needs relative to reserves. Fitch's SRM is the agency's proprietary multiple regression rating model that employs 18 variables based on three year centred averages, including one year of forecasts, to produce a score equivalent to a Long-Term Foreign-Currency IDR. Fitch's QO is a forward-looking qualitative framework designed to allow for adjustment to the SRM output to assign the final rating, reflecting factors within our criteria that are not fully quantifiable and/or not fully reflected in the SRM. The Stable Outlook reflects Fitch's assessment that upside and downside risks to the rating are currently balanced. 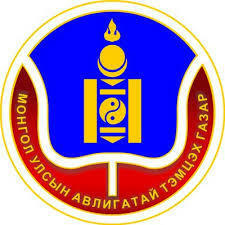 - Implementation of credible and coherent macroeconomic policy-making that improves Mongolia's basic economic stability. - A track record of meeting stated fiscal targets, contributing to an improved outlook for government debt ratios. - Evidence of substantial improvement in the country's medium-term external liquidity, for example through a build-up of reserve buffers, strong inflows of FDI or significant narrowing of the current-account deficit. - Difficulty meeting imminent external financing needs, for example if multilateral and bilateral support is not forthcoming. - A material increase in government debt ratios above Fitch's expectations, for example through a failure to meet fiscal targets and/or a sharp depreciation of the currency.